Fourteen remarkable stories that combine strong Western settings with a subtle and distinct female voice. This critically celebrated debut collection marks the exciting beginning of prize-winner Meloy's promising career. 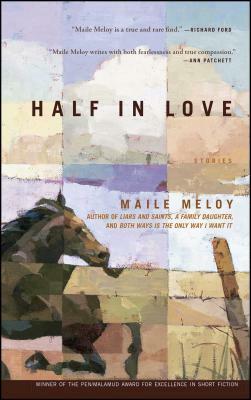 Lean and controlled in their narration, abundant and moving in their effects, Maile Meloy's stories introduce a striking talent. Most are set in the modern American West, made vivid and unexpected in Meloy's unsentimental vision; others take us to Paris, wartime London, and Greece, with the same remarkable skill and intuition. In "Four Lean Hounds, ca. 1976," two couples face a complicated grief when one of the four dies. In "Ranch Girl," the college-bound daughter of a ranch foreman must choose which adult world she wants to occupy. In "A Stakes Horse," a woman confronts risk and loss at the racetrack and at home. And in "Aqua Boulevard"--winner of the 2001 Aga Khan Prize for Fiction--an elderly Parisian confronts his mortality. Meloy's command of her characters' voices is breathtaking; their fears and desires are deftly illuminated. Smart, surprising, and evocative, Meloy's brilliantly observed stories fully engage the mind and heart.